Miss Berry writes to Mrs. Crane thanking her for her donation and for the Crane family's kindness to the Berry Schools and to herself. 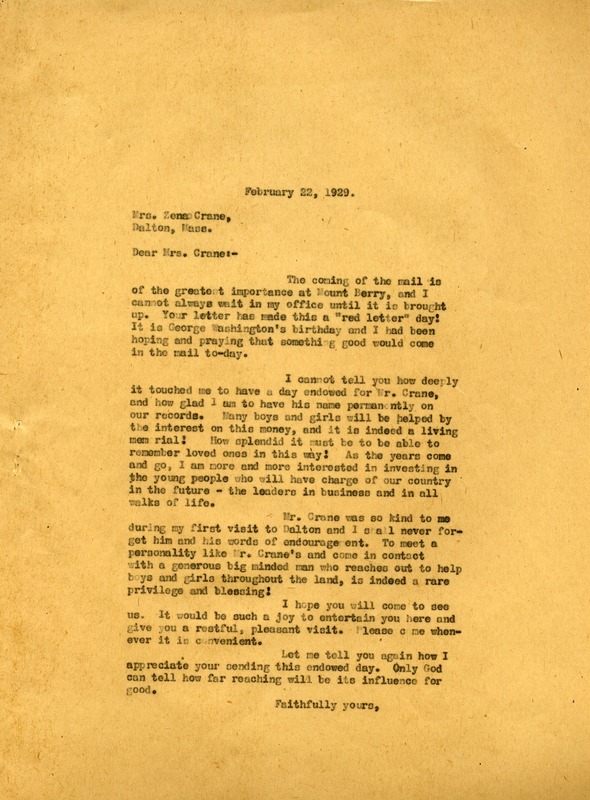 Miss Martha Berry, “Letter to Ellen J. Crane from Martha Berry.” Martha Berry Digital Archive. Eds. Schlitz, Stephanie A., et al. Mount Berry: Berry College, 2012. accessed April 20, 2019, https://mbda.berry.edu/items/show/9860.